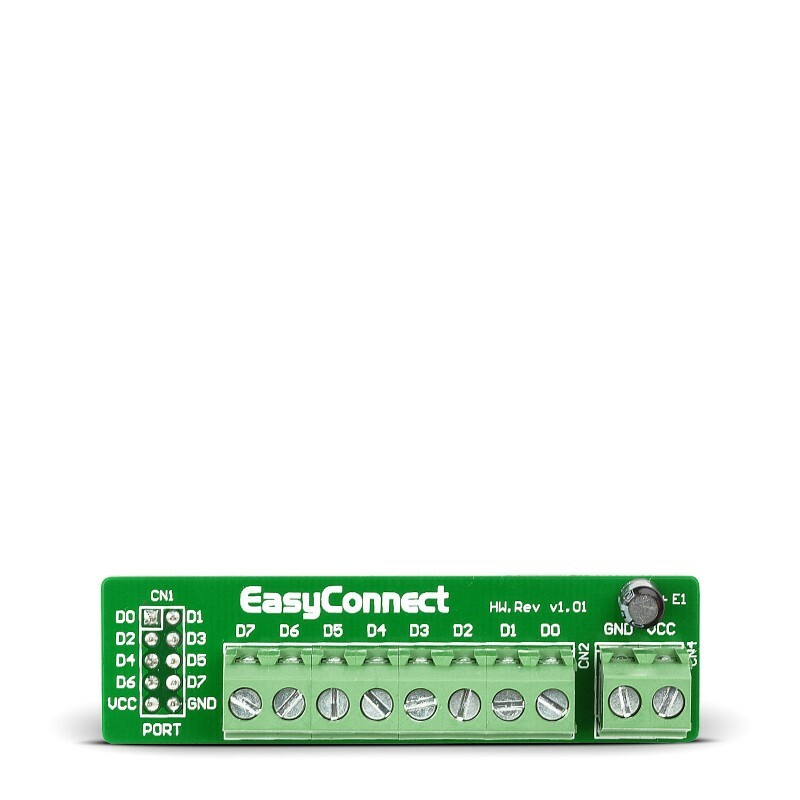 The EasyConnect Board features standard screw-terminated connectors that enable eight wires to be easily connected or removed. These connectors can handle solid and stranded wires. The EasyConnect Board features standard screw-terminated connectors that enable eight wires to be easily connected or removed. These connectors can handle solid and stranded wires. Board can provide much easier way of connecting your surrounding electronics with IDC10 connector on your development board for a bargain price.